Remind your loved ones that they’re one year older, one year wiser but still a grumpy fucker with this wonder A5 card that comes with a beautiful paper envelope to put the fucker in. 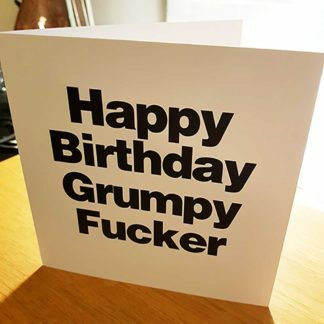 Left blank inside so you can add your own personal profanities. 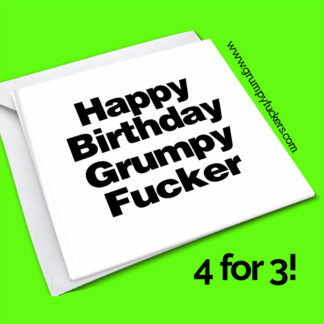 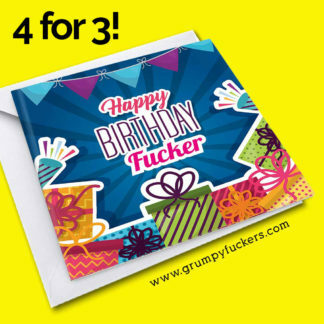 Classic Happy Birthday Grumpy Fucker Buy 3 Get One FREE! 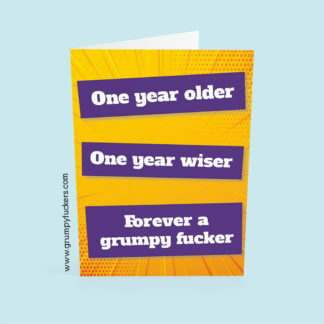 One Year Older. 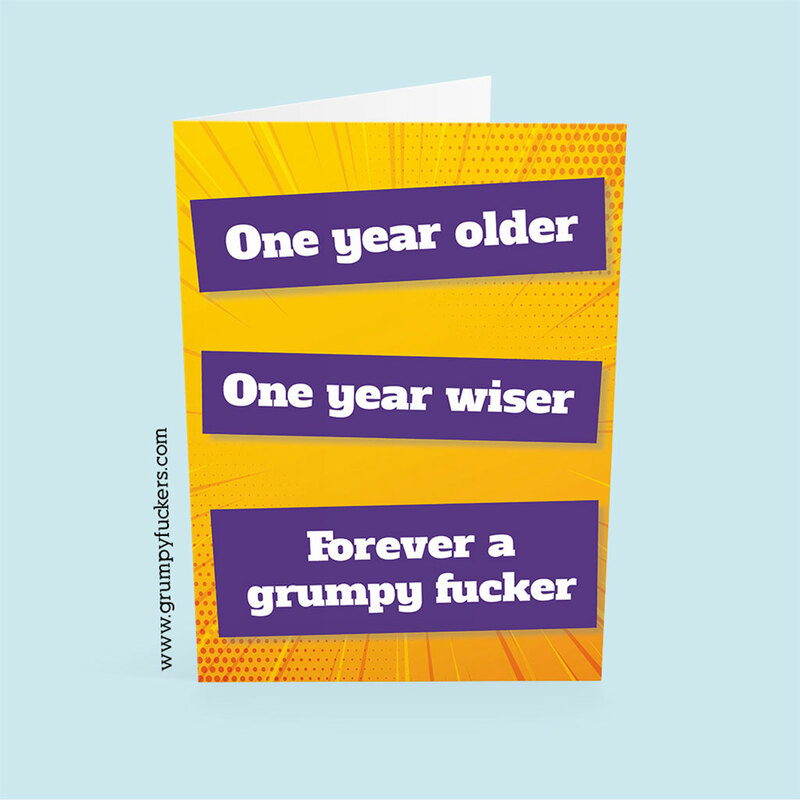 One Year Wiser. 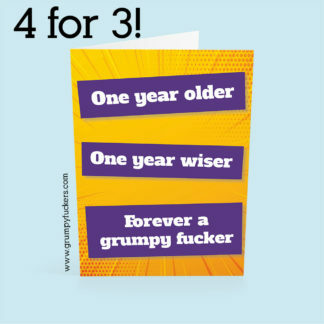 Buy 3 GET ONE FREE!